After a long wait, the SEAT Leon Eurocup returns to action this weekend. The successful international series is braced for a third edition in 2016 and drops into the Portuguese circuit of Estoril once again with all the ingredients in place for drivers, fans and motorsport followers to enjoy top class competition and intense racing thrills. A total of seven circuits will be visited with the sweeping Italian curves of Mugello added to the mix too, in the 2016 schedule. 15 participants from 10 different countries will face a fresh challenge with their hands at the wheels of the potent Cup Racer. For the second year in a row, to open proceedings, the SEAT Leon Eurocup will visit the famous Portuguese track. Last season, double SEAT Leon Eurocup Champion, Pol Rosell (Baporo Motorsport), drove to victory as well as setting the fastest lap (1’49.834), while Fran Rueda (Monlau Competición) owned Sunday’s race. Estoril has almost fifty years of motorsport history through its 4.18km asphalt made up of four left turns and nine right handers and is recognised as one of Europe’s finest tracks. Technical and challenging and charaterised by numerous undulations and a 985m principal straight, Estoril also brings strong winds and unstable climate into the bargain. 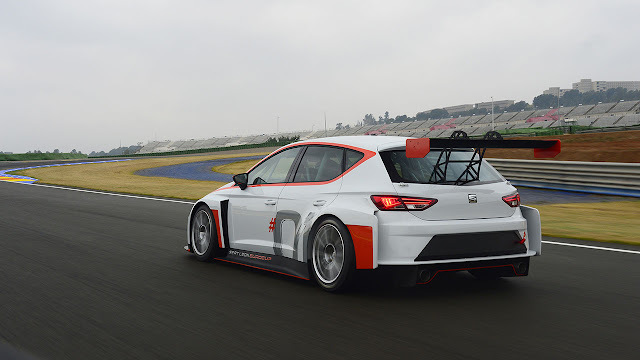 At Estoril, the SEAT Leon Eurocup will share billing with the International GT Open and the TCR International, in which several teams also run with the Cup Racer. Practice starts on Friday 22nd April with two thirty minute sessions. On Saturday, timed chrono will take place, also 30 minutes in length, after which the first race of the weekend will be held (13:15 local time). The second sprint follows on Sunday (14:35). Each race will be fifteen laps in duration. New additions to the rulebook for 2016 will see the first ten drivers across the line dividing a total of 101 points (25 to the winner, 18 for second, 15 for third then down through the classification accordingly 12,10,8,6,4,2 and 1 point). The Ladies Trophy will share the same system with 2015 champion, Frenchwoman Lucile Cypriano, looking to secure back-to-back titles. On the technical side, the new Cup Racer, presented on 15th February at the Terramar circuit, boasts a new aerodynamic package and also retains its 330 PS output. The car features a new cooling system, a refreshed exhaust system design and new adjustable suspension (optimising performance and resistance) and comes equipped with a two-litre turbo engine. The new Cup Racer has been created in order to continue offering the best tool for drivers to engage in tight and close ‘duelling’ action, as seen last year between Spaniard Pol Rosell and Norwegian Stian Paulsen, who both went toe-to-toe for first postion right up until the very last race at the ‘Circuit de Cataluña’. Improved even further for 2016, the Cup Racer still channels the spirit and firm belief of the brand to offer a competitive and technological vehicle for a spectacular and closely-fought campaign of racing. 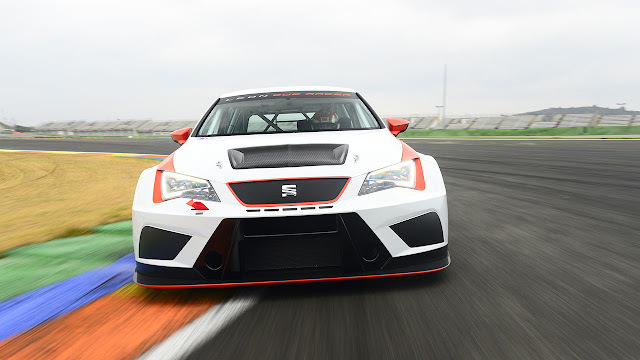 Ahead of this season’s action, Jaime Puig, Director of SEAT Sport commented, "Another year begins and after the enormous success of the last two editions we are set to go again with the SEAT Leon Eurocup. Once more we are proud to count on a series that year after year is consolidating its place and prestige in the world of motorsport. Last year, more than ever, we were able to enjoy the fruits of a truly international campaign in which the winner of SEAT Leon Eurocup, Pol Rosell, was not crowned until the very last race. Thanks to the drivers of SEAT Leon Eurocup we have become accustomed to many passes and some fantastic competition and I hope we can look ahead to much more in this new edition. We are happy to welcome Mugello to the calendar as a substitute for Monza and speaking of the points system we have made a few small changes in the interests of improving the overall spectacle of the racing. For more information about the SEAT Leon Eurocup, visit www.seat-sport.com/eurocup. The official SEAT Leon Eurocup app is available on iTunes and Google Play.